Dive into her guidance & her power, her light side & her dark side, as you embrace where she lives within you, and on the Sacred Wheel: The Maiden in Spring, The Mother in Summer, The Queen in Autumn and the Crone in Winter. Experience a heart full of love and compassion for your own divine journey, the women in your lives, those who have come before & those yet to come! Though each stage may be symbolized by a woman of a particular age and stage of life, their essences are interwoven within us. 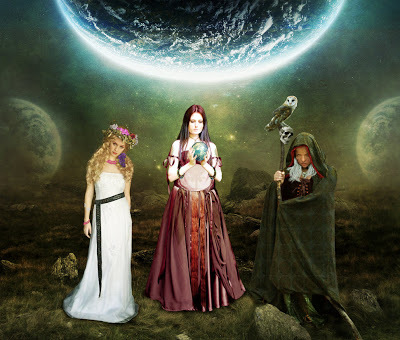 We embody aspects of the Maiden, Mother and Crone within us always, yet we can see where one archetype may more powerfully influence a particular stage of our life. When we embrace and integrate the passages of our divine feminine we free ourselves to live fully and to be all of who we are.